No. 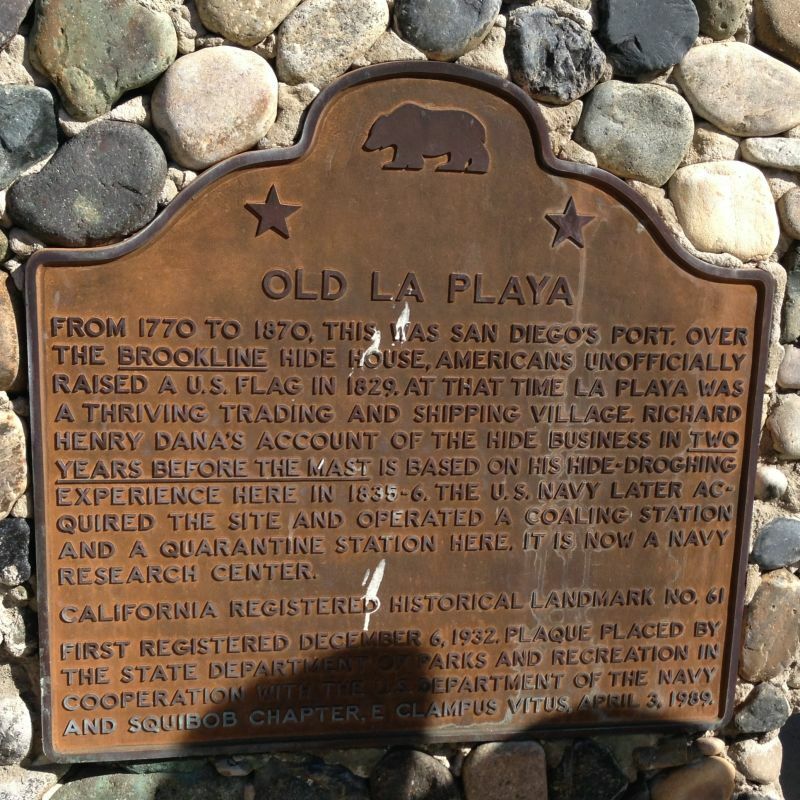 61 OLD LA PLAYA From 1770 to 1870, this was San Diego's port. Over the Brookline hide house, Americans unofficially raised a U.S. flag in 1829. 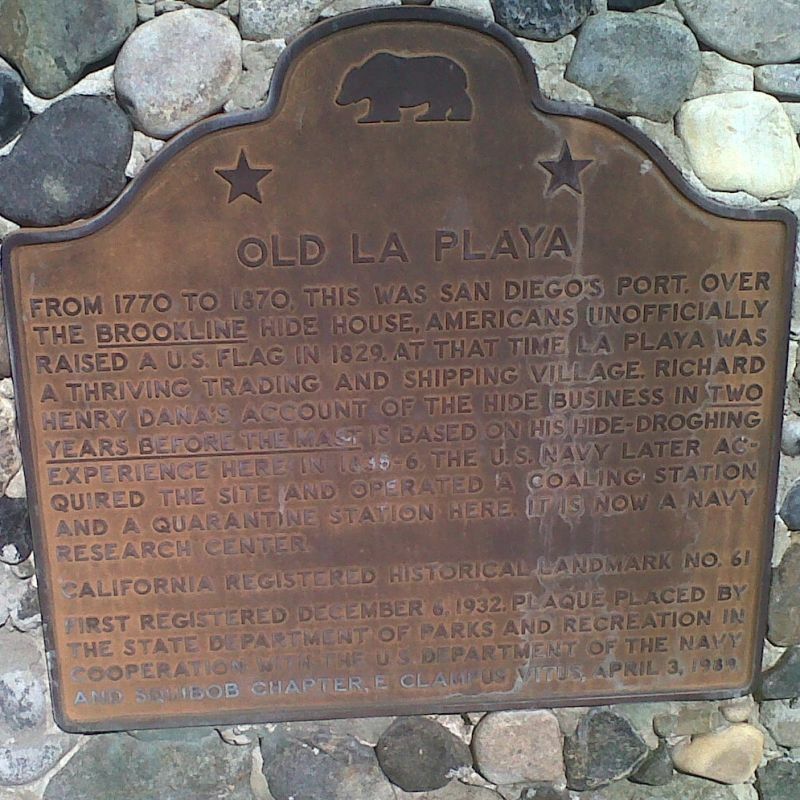 At that time La Playa was a thriving trading and shipping village. Richard Henry Dana's account of the hide business in Two Years Before the Mast is based on his hide-droghing experience here in 1835-36. 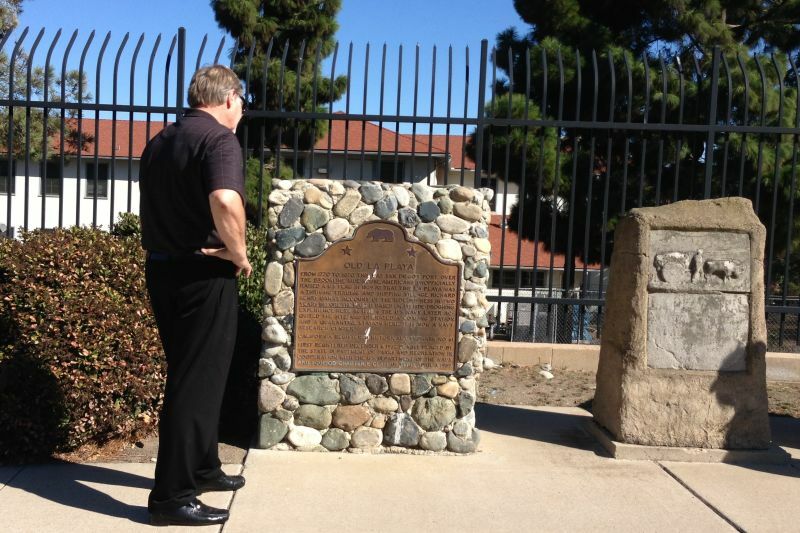 The U.S. Navy later acquired the site and operated a coaling station and a quarantine station here. 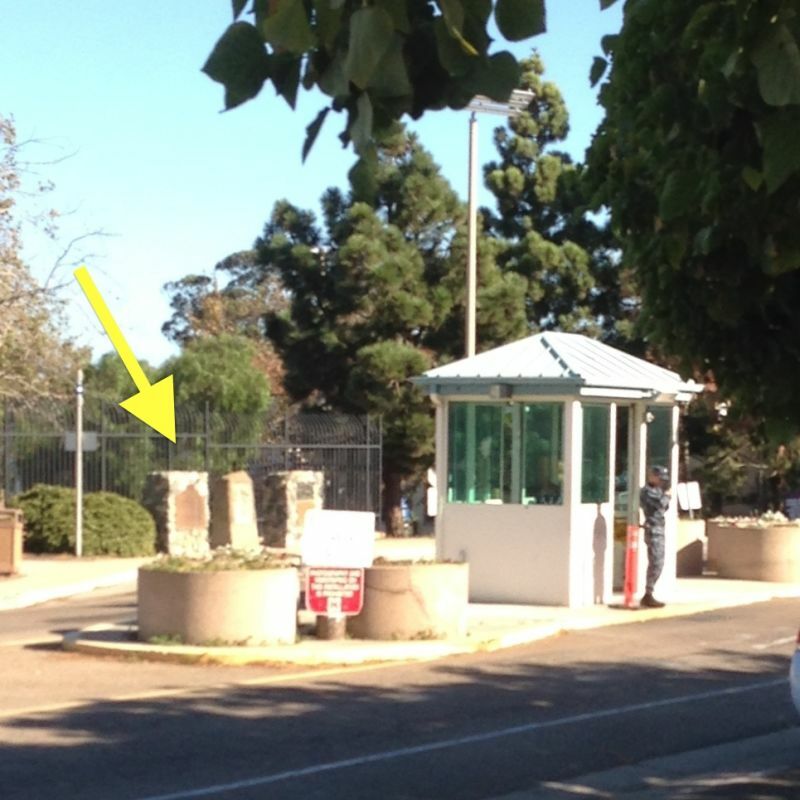 It is now a Navy research center.